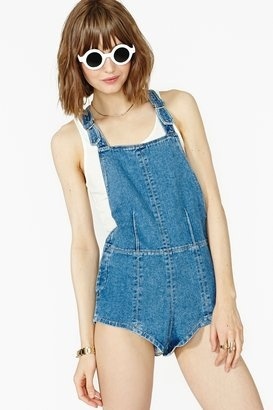 I’m so happy overalls are back in style! And I think that this will be the summer where I find the perfect pair, I can feel it. 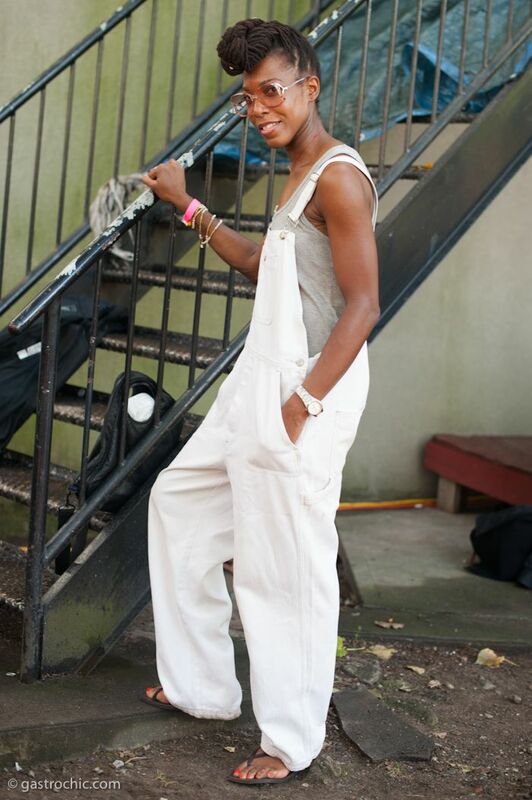 Finding a pair of overalls that are both stylish and comfortable can be challenging. You need one that is fitted in the right spots, not too loose in the wrong spots, and doesn’t ride up your crotch! My roommate in college, Colleen, had the perfect pair and I loved borrowing them from her. Kind of wishing they would have wound up in my pile on moving day. sigh. 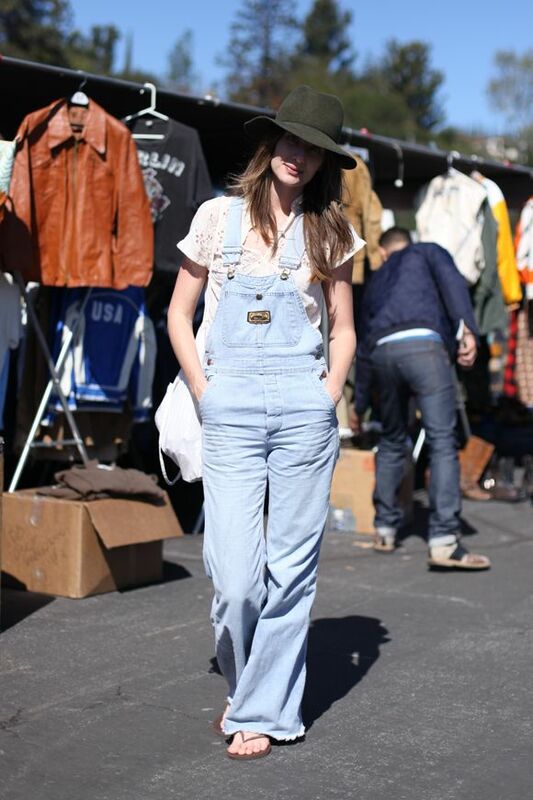 There are also lots of styling options with overalls. You can cuff them up, wear both straps done up, only one strap up, or have both hanging down. 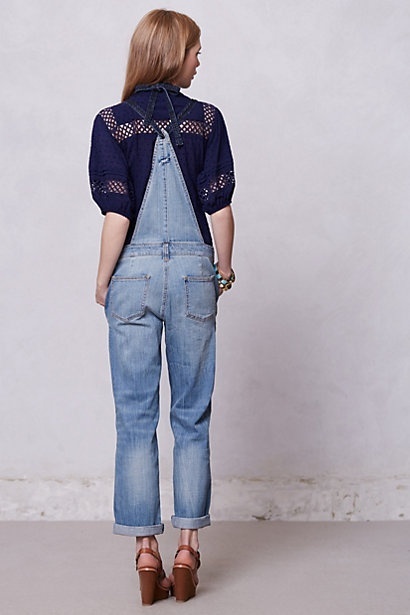 I think it could be a great summer staple. Now it’s time to find a just right pair of my own! 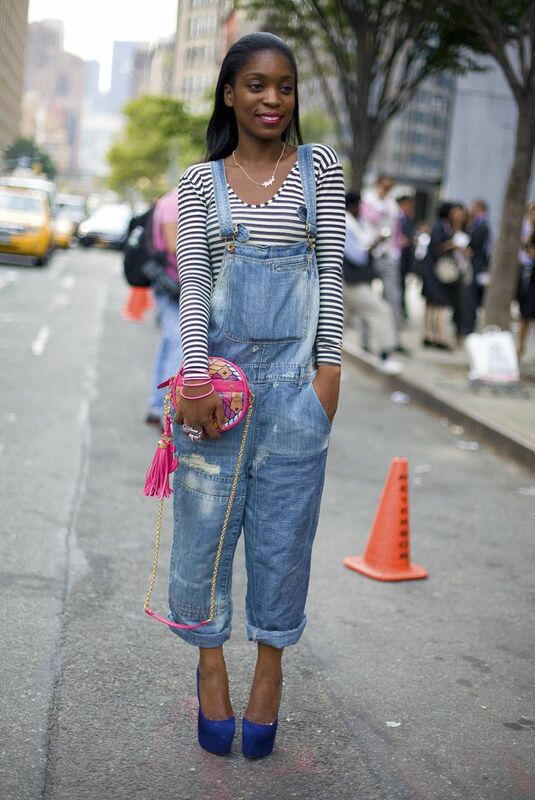 Hopefully this will inspire you to give overalls a try this year. I’m going to keep an eye out at thrift shops. 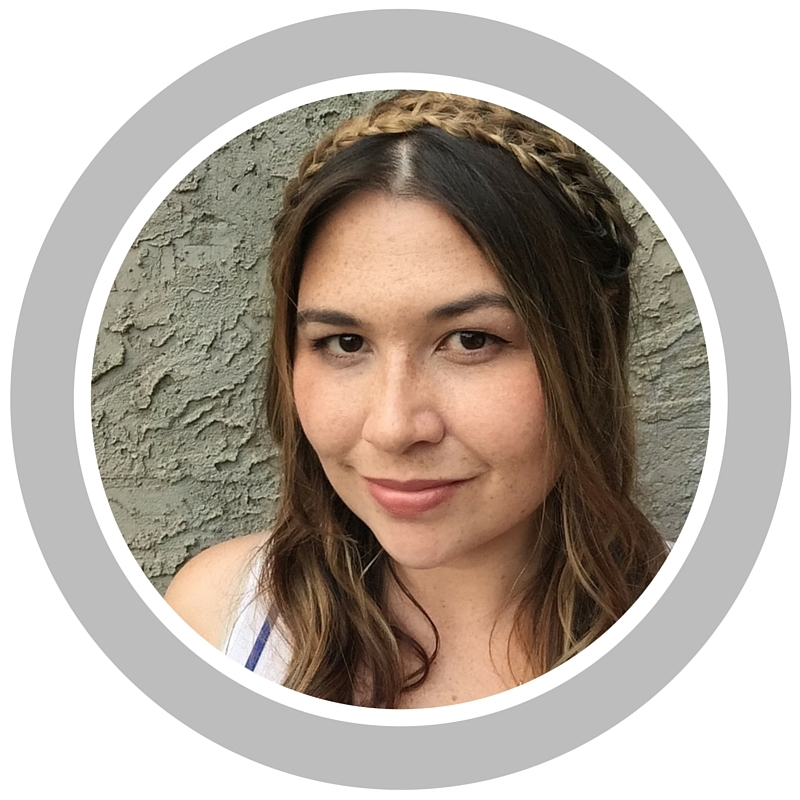 Just please DO NOT get these ones. Sheesh. 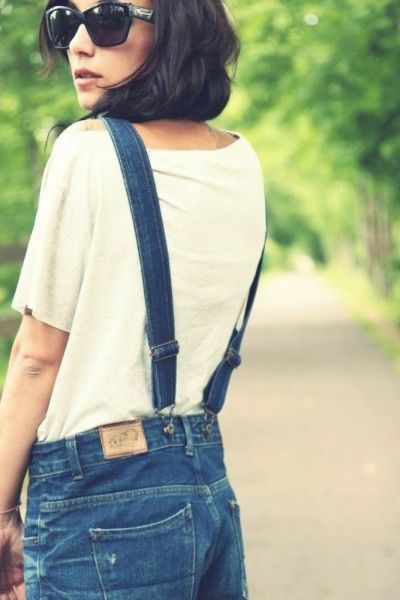 I love the look of overalls! such a classic way to look relaxed and cute! Yay! Mission complete! I hope you find your perfect pair.